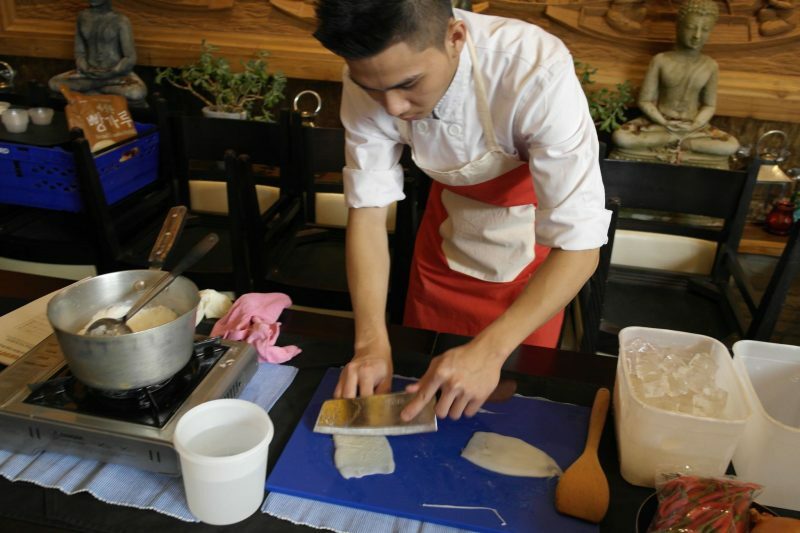 Have you ever visited a restaurant and thought I’d love to learn how to make that? Now you can do just that! 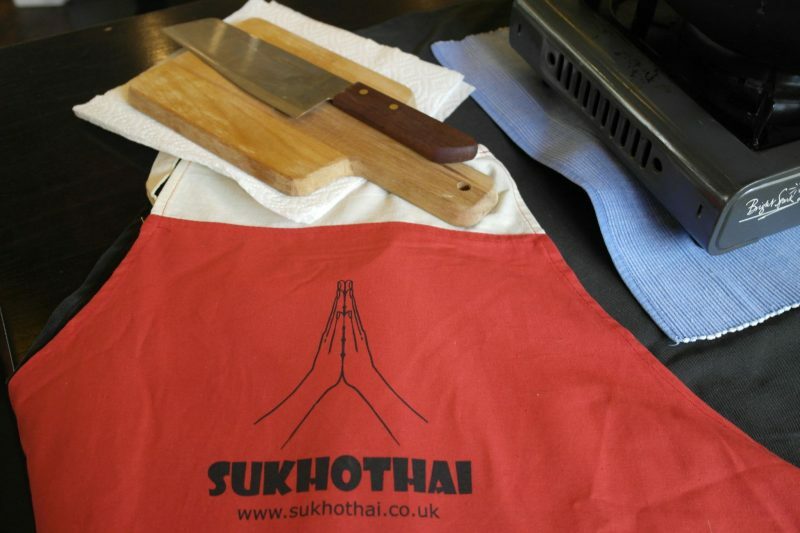 You might have seen my recent post where I visited Sukhothai in Leeds a few months ago. 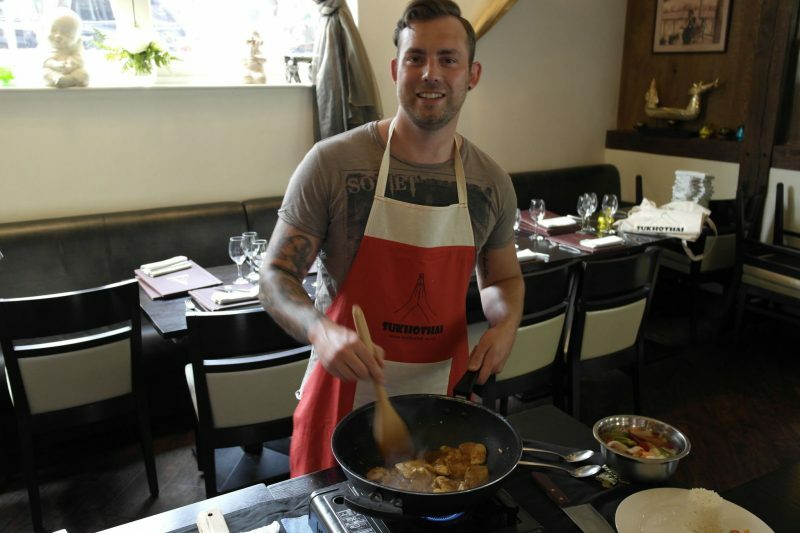 I was lucky enough to be invited along to one of their Masterclass sessions at their Harrogate restaurant. 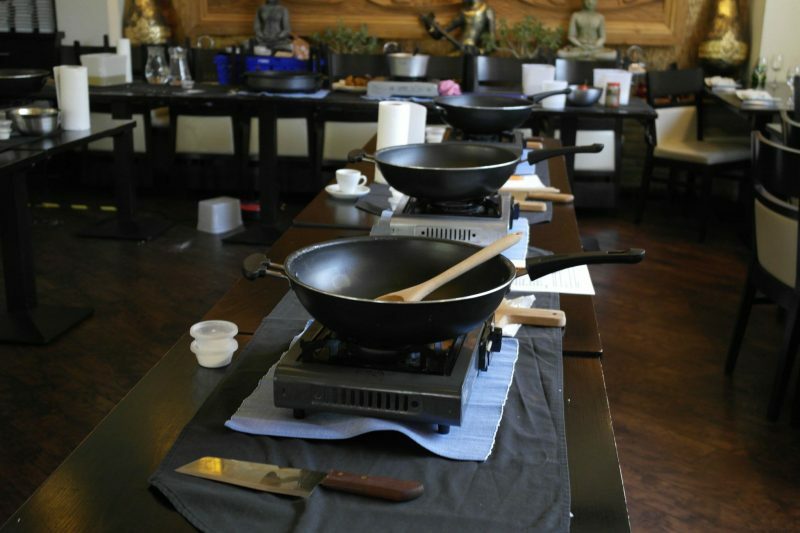 The Masterclass teaches you the skills of Thai cuisine so you’re able to recreate your favourite dishes at home. It runs from 11am to 2pm, you can either choose the Chapel Allerton restaurant and Harrogate restaurants. 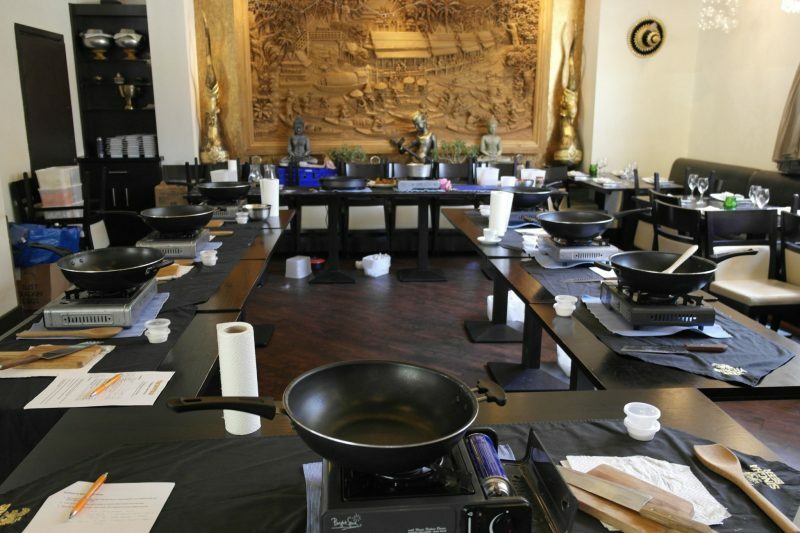 The class started with an introduction to what we’d be cooking; Pla Meug Tod – Crispy Squid for starter and Pad Nam Prik Pao Gai – Stir fried chicken with chilli oil, sweet basil and vegetables. 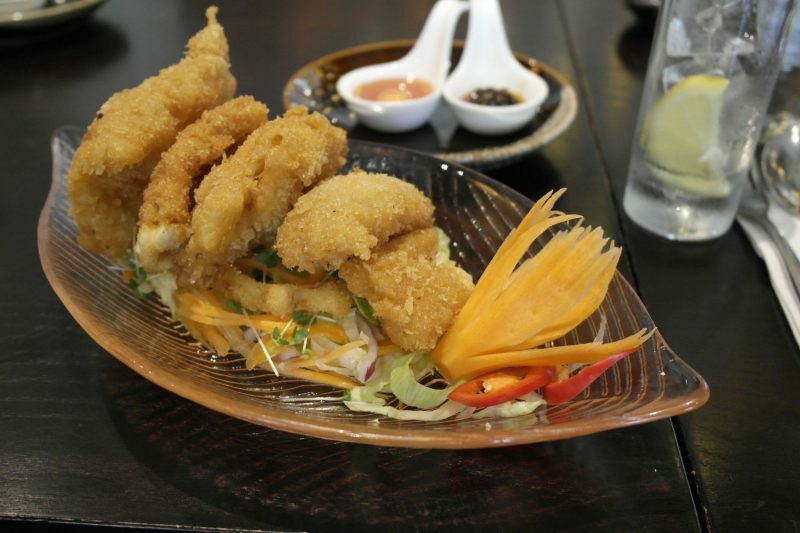 First up was the crispy squid, the Chef demonstrated how to remove the skin from the squid as this can give it the rubbery texture. To further tenderise the flesh, it’s scored in a criss cross pattern before being dipped in flour, batter and bread crumbs then shallow fried in oil. 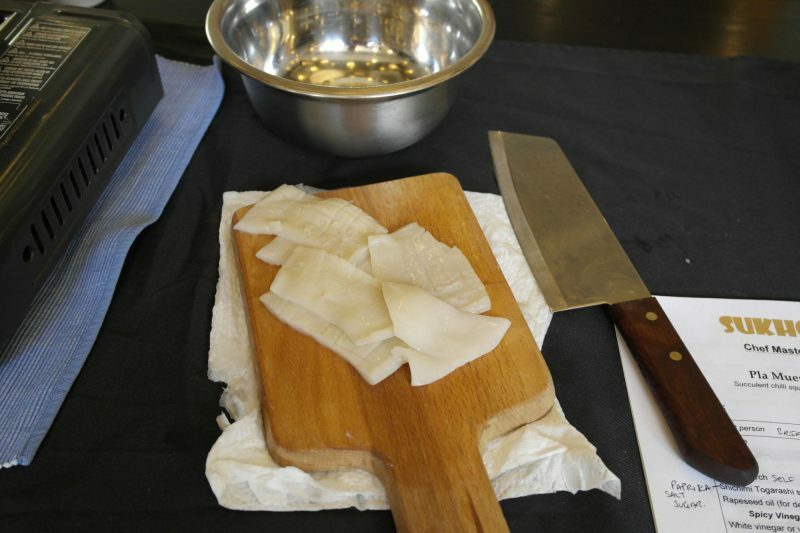 It was then over to us… the Chef lent me his own super sharp cleaver which made light work of cutting through the squid! The tricky part was finding the skin… the rest was quite easy! Once the batter is golden brown, remove from the oil and sprinkle with spice powder. After we’d all cooked our squid we sat down to eat, what looked like a main course! I’ve always been a bit wary of squid as I’ve tried some that have resembled a piece of rubber! I needn’t of been worried… this was really soft and the crispy batter was perfect. 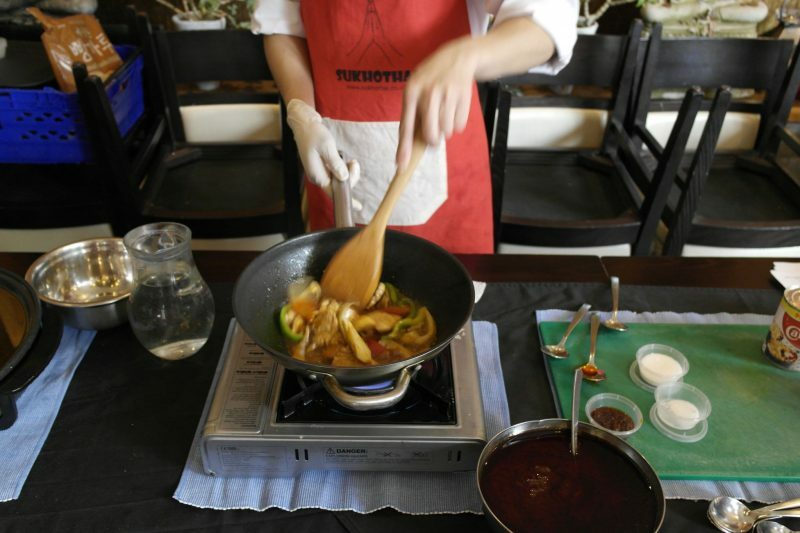 Back at the demonstration area, the Chef showed us how to prepare the chicken stir fry main course. The key ingredient being Thai chili oil paste with shrimp, which had such a nice flavour to it. I was surprised at just how easy it looked to make! The surprise ingredient was carnation milk, this was added to give a bit more depth to the sauce. 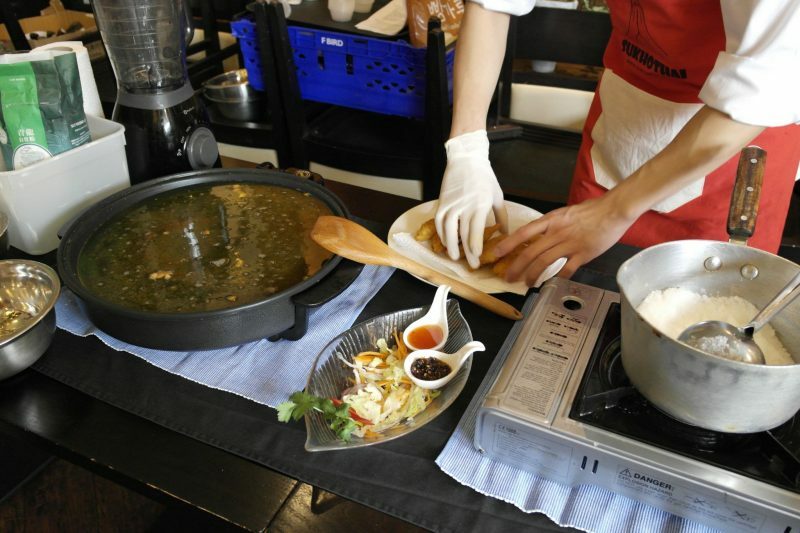 We got to try the one prepared by the Chef…. Wow was it good! 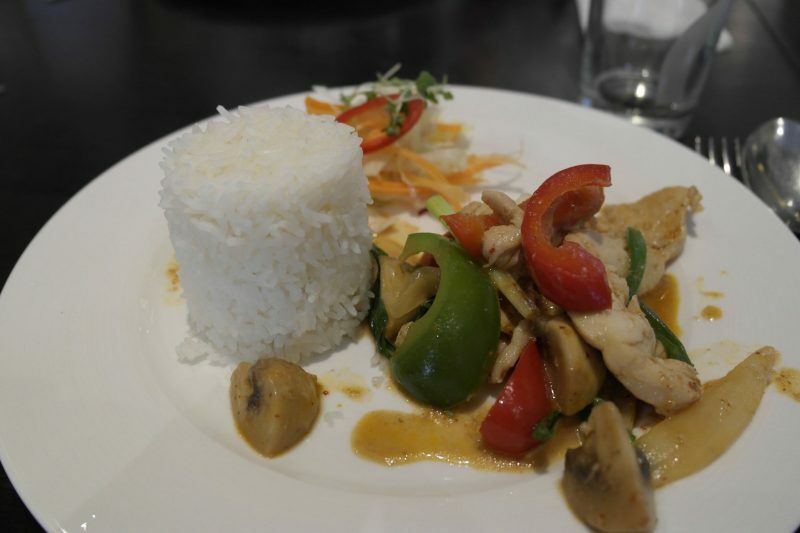 Better than any Thai red or green curry I’ve had! 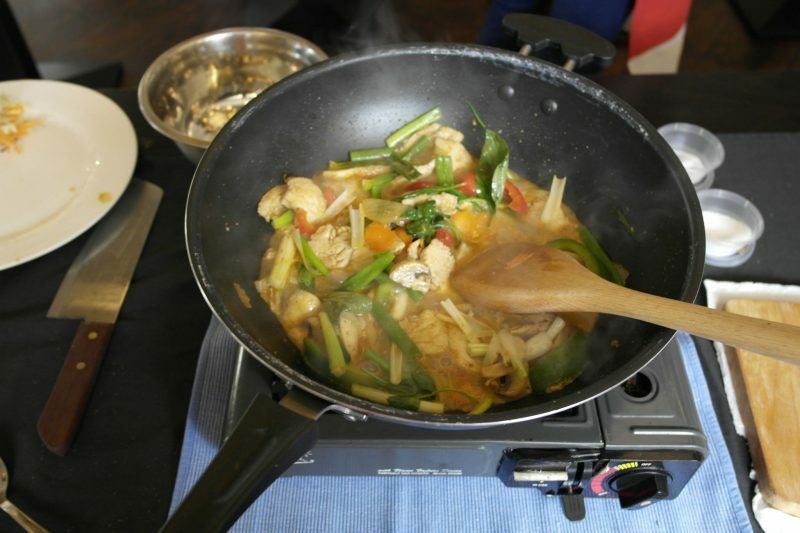 It was then over to us again to prepare our own chicken stir fry main course. The only difficult part was getting the right balance of salt and sugar, tasting and adding more if needed. I was happy with how mine tasted and the Chef said I’d got it just right! Once we’d finished cooking, we got to sit down and enjoy what we’d made. Let me tell you it was extremely tasty! The rest we had made we got to take home in our goody bags. *Class was complimentary for review purposes. All views and opinions are my own.